I told my kids when they were little that quinoa is “baby pasta.” It’s how pasta starts out before it grows up! It was a little stretch of the truth to get them to embrace a food that is a healthy alternative to processed pasta that has little nutritional value. These days they’re old enough to realize it’s not a pasta, but they love the flavor and texture, so it doesn’t matter. It’s a protein-rich food – it’s one of the most protein-rich foods we can et. It’s has almost twice as much fiber as other grains. It has a high content of manganese. But wait! There’s more. 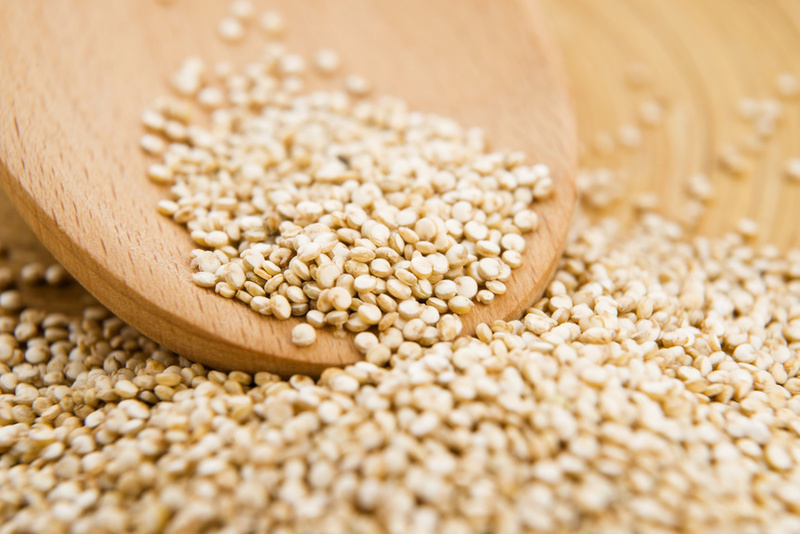 Quinoa is also gluten free, has all eight essential amino acids (which is unheard of in any other food), is easy to cook and mixes well with a lot of different flavor profiles – from Mexican and Greek to Italian and Asian. Even if you’re introducing quinoa for the first time and you can’t fool your kids into thinking it’s “baby pasta,” try it as a replacement to pasta or rice a few times and encourage them to taste it. It’s mild in flavor and has a good texture to it. Looking for ways to prepare quinoa? I compiled a few good recipes here. Some are more adventurous in effort and flavor, but all will give you a great way to prepare it. I also use quinoa to make “rice pudding” with almond or coconut milk, stevia cinnamon and crushed walnuts. That’s how I get my kids to eat quinoa. How about you? Any suggestions or recipes? As a working mother with two small children, Candice Imwalle understands the challenge of incorporating healthy eating into daily life. In her job as a medical devices regional manager she encounters patients regularly who suffer from vascular disease and Type 2 Diabetes, most commonly caused by a lifetime of poor food choices. Inspired by her job, and the rising obesity rates for both children and adults in the United States, Imwalle decided to search for children’s books about the effects of an unhealthy lifestyle for her kids to read. The lack of options for this kind of children’s literature motivated Imwalle to write her own book – Sir Morgan and the Kingdom of Horrible Food. With a drive to educate children early, so they make good food choices and have a healthy adult life, Imwalle enlisted the writing help of her daughter Isabella and son Cameron, ages five and eight at the time) to assure the book was fun and interesting to younger readers. October 6, 2014 , No Responses.